An honestly predictable self-contained tale ended up being the most emotionally powerful one to date, standing as good proof of just how important the vision of a director is. No better chance to examine the work of all the staff involved than an episode like this! ─ Last week I said that I considered episode 9 to be the perfect closure to Violet’s arc. There definitely is room for a much more nuanced look at characters suffering from PTSD learning to live with it, but the show had already achieved the exact catharsis it aimed at, so anything after that was inevitably going to feel like an addendum. 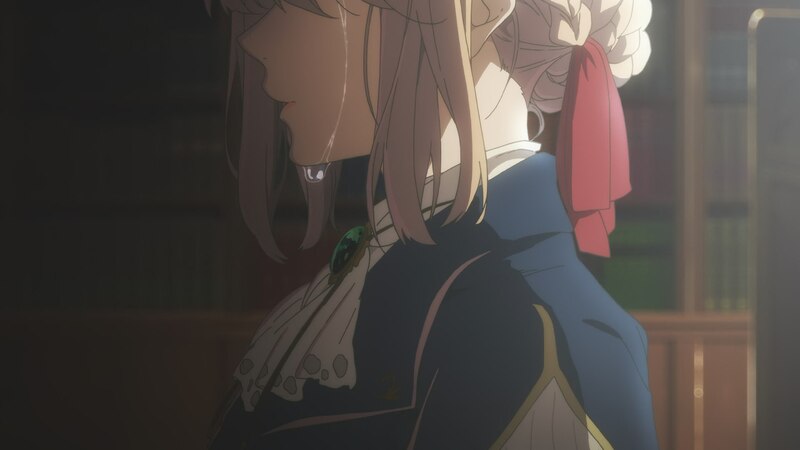 All I asked for was more episodic content with strong emotional punch… something I almost regret now, because as much as I loved this episode, many tissues had to sacrifice themselves to seal my tearducts. 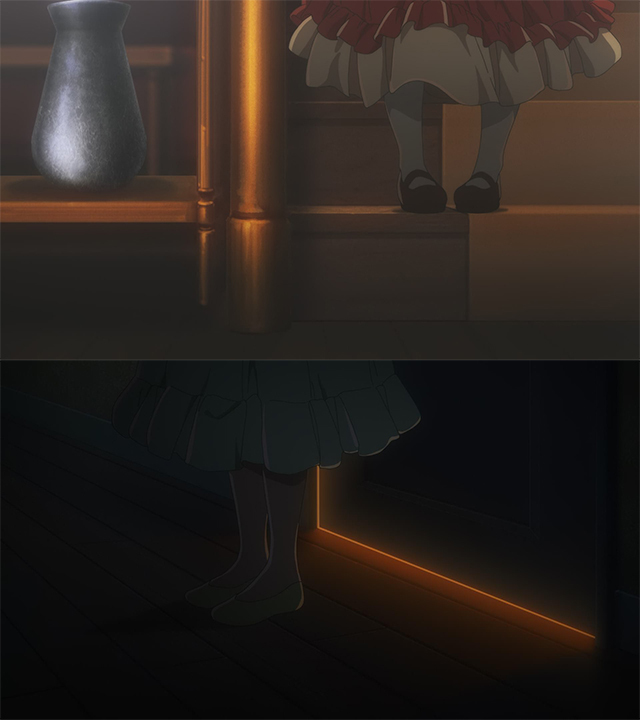 The events this time around are as predictable as they are effective, with director Taichi Ogawa weaponizing the sad yet hopeful story of an ill mother and her daughter; some clichés became commonplace because they do work, and accompanied with peerless execution like this they can be very dangerous for your emotional wellbeing. 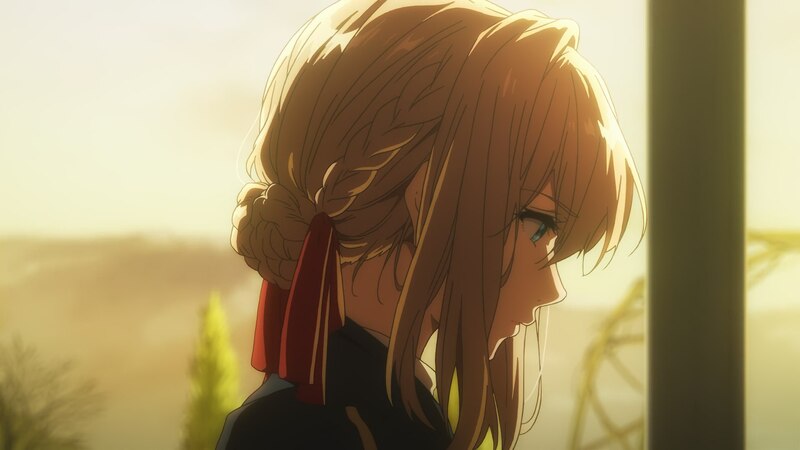 Violet herself breaking down in the epilogue isn’t just the final sentimental blow, it’s also the most convincing argument that this particular tale was placed at exactly the right moment in the story. The tenderness she keeps on showing Anne throughout the episode, the way she’s now capable of facing someone who will have to get over the loss of a dear one, the slight warmth when she tells her that all letters deserve to be received – it’s not just her outburst at the end, Violet’s behavior during this whole episode is the result of her growth. What seemed like a beautiful self-contained story ended up being even more than that. 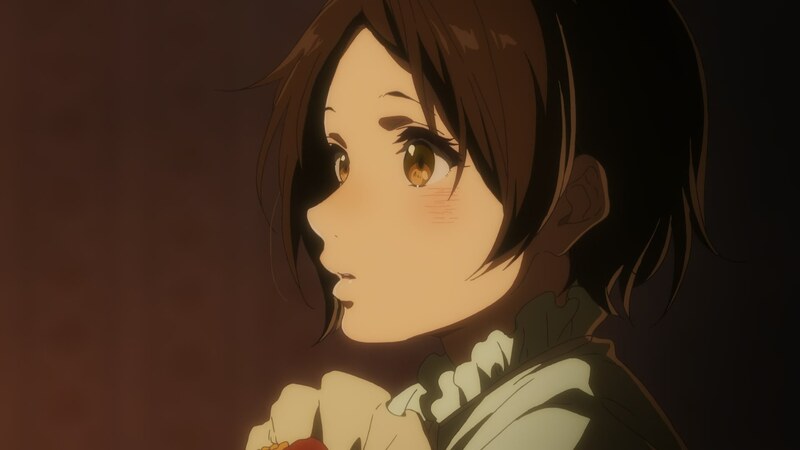 ─ Ogawa has been gradually maturing as director ever since his debut in 2012, and recently he’s taken perhaps the biggest leap yet after acting as the main director for the first time in the retelling of Euphonium’s second season Todoketai Melody. What could have been a plain recap ended up recontextualizing all the events, trimming the fat and adding enough original content to make it a much more focused experience. That efficient approach can be felt in this episode as well, which comes as no surprise as it’s the very first thing he handled after wrapping up his film. There’s no extraneous matter anywhere in the episode – though some flair is unmistakable, and I don’t even need to point out who his recent mentor has been – so all his efforts have very explicit goals. 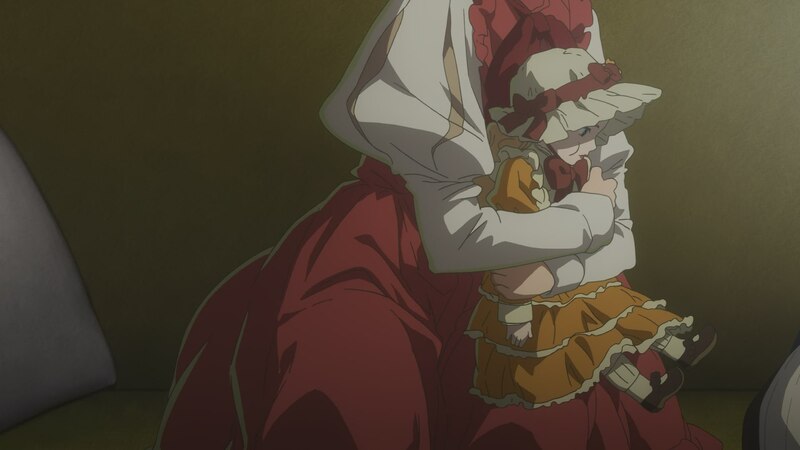 One of the most obvious examples are the constant time markers, to highlight not just that Violet is staying with them for a limited period but also the mother’s terminal state, while building up to the touching timeskip epilogue. 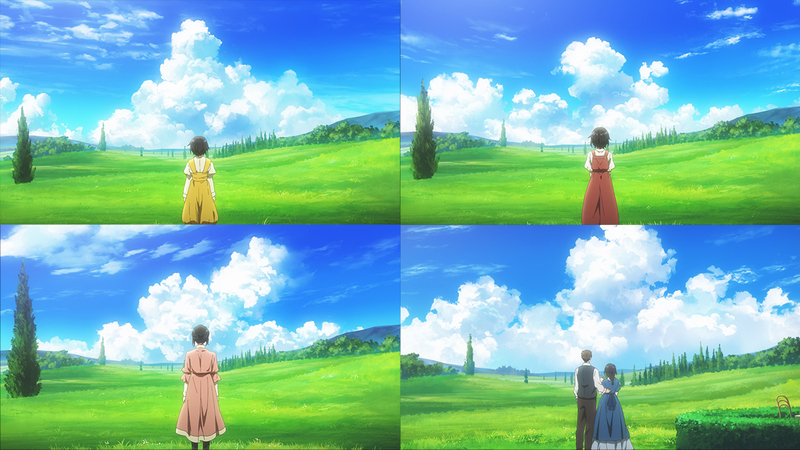 And although it’s more subtle, I’d like to bring attention to how Ogawa puts the viewer in Anne’s shoes by making her the genuine POV; while events are filmed in a beautiful yet impersonal way when it comes to other characters, Anne has an effect on the camera, whether it is following her eyes as she peeks or shaking with her bottled-up emotions. 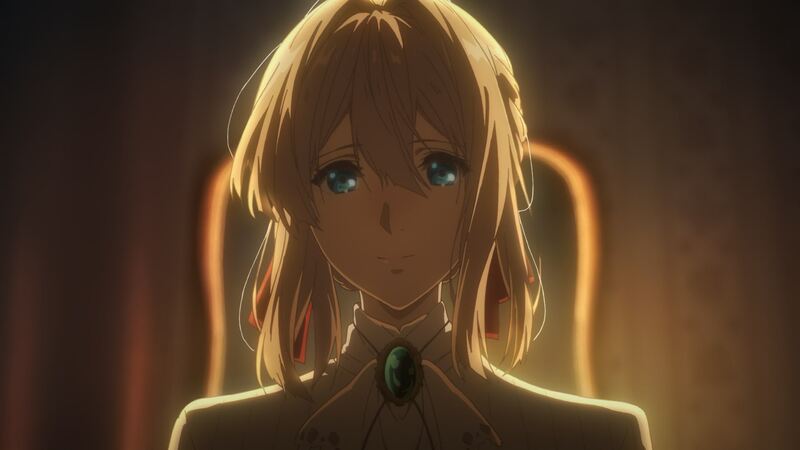 Add to that the careful portrayal of her demeanor by the animators, and it’s easy to see why she ended up being so compelling despite being a one-off character within a simple story. ─ There’s no denying that this show’s designs are very taxing for everyone involved, but if there’s a supervisor ready to tackle them, it’s got to be Nobuaki Maruki. Though he doesn’t go quite as overboard with the detail as Chiyoko Ueno in these situations, he’s still a master of intricacy while keeping his sharp drawings at the service of movement. Yukiko Horiguchi herself praised his collaboration with Ogawa back in Tamako Love Story, and considering he hadn’t been doing all that much work in the series, it’s no surprise that he was entrusted with an episode this emotionally loaded. 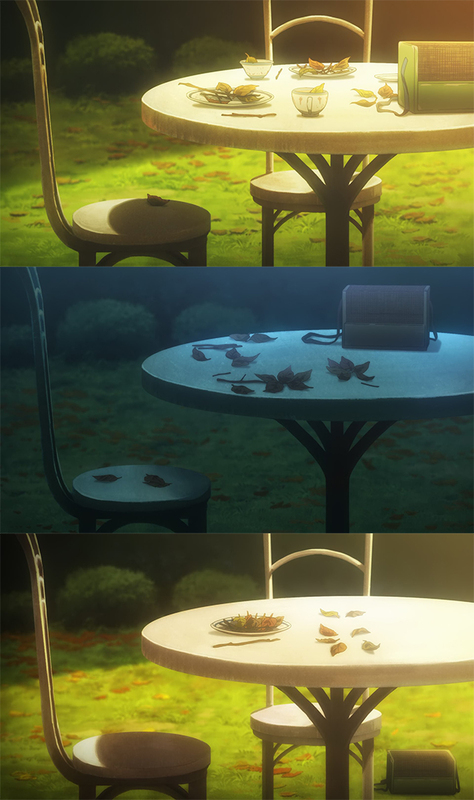 Scenes like Violet breaking down in tears and her poignant conversation with the distraught Anne (perhaps Yoshiji Kigami’s contribution to the episode) are among the most expressive in the series despite staying as grounded as ever, and even more of an effort went to making each minor scene with Anne a showcase of believable child behavior. 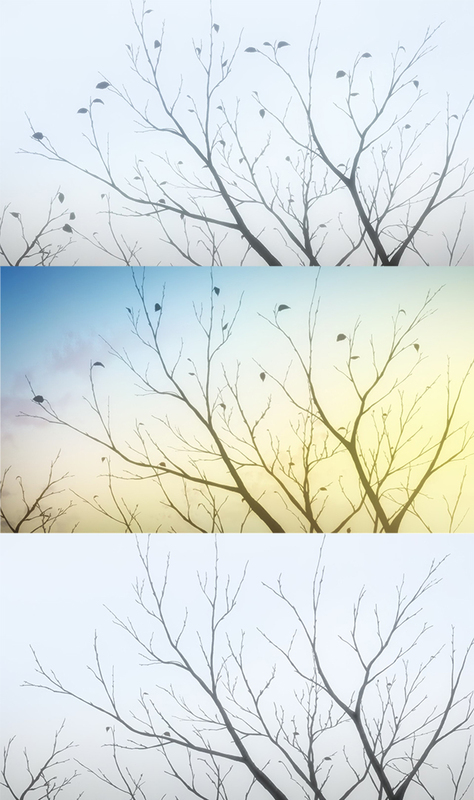 Maruki’s corrections also filled the episode with gorgeous shots, and even the coloring team leveled up their efforts to increase the number of cuts with striking environmental reflections. 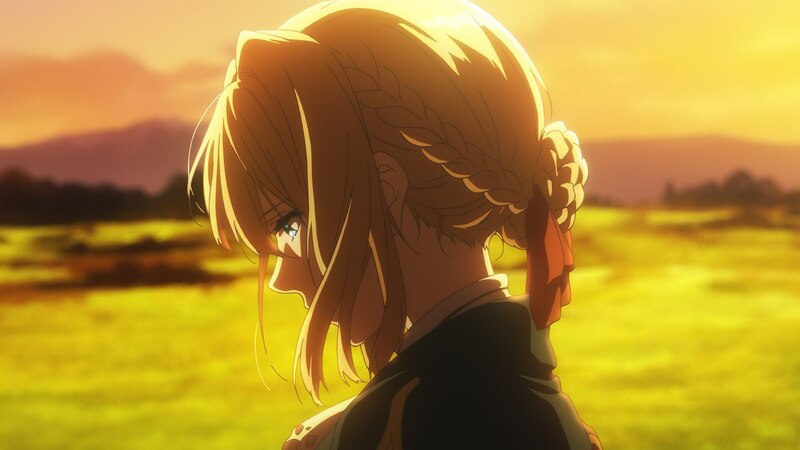 Even by Violet Evergarden’s standards, no efforts were spared in this episode. ─ Since we’re talking about the staff and their work, it’s worth noting that the line-up of key animators is quite unusual. 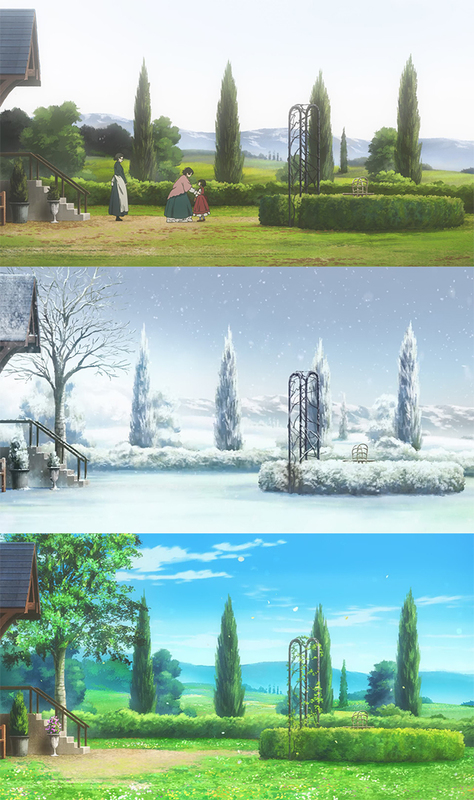 Despite the episode’s main staff being from Kyoto, most of the animators are from their Osaka crew – not that weird of a development, but it stands out considering that the studio’s shows usually have 3-4 episodes fully animated in Osaka and this time around we’ll struggle to get to 2. Things get even weirder when you notice Kyoto star Yoshiji Kigami credited among them, and then two pairs of animators from each location receiving special mentions of their own. 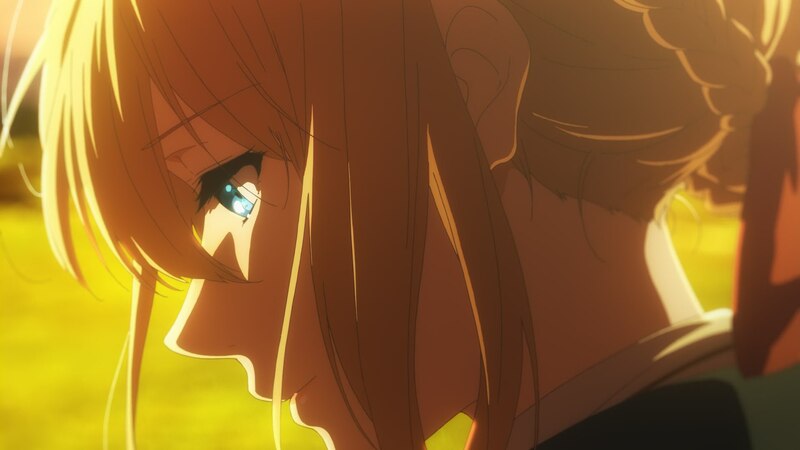 While KyoAni credits are usually informative, not necessarily about the exact scenes each person handled but about their roles, in this occasion there’s no way of telling until the staff commentary track. This really is a very unusual production. Both links point to same page (record #4213). Should they? Ooops, I had accidentally bullied the keions away. Fixed! Absolutely amazing episode. The best the series has had so far. I just realized that we are most of the way through the original trailer content. This would be the brilliant turning scene with Anne pounding away at Violet in her house (instead of outside). 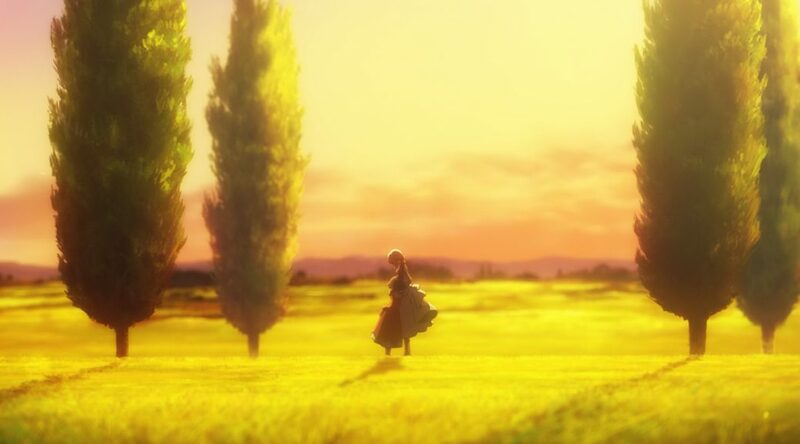 We didn’t see a similar scene in the show where Violet was turning so beautifully for what would be episode 7 though. Now there is fantasy ax girl to go and that just about covers it. Probably because that was a trailer for the novels and not the anime. This is just hearsay, but supposedly the ax isn’t going to come up in the anime. Taichi Ogawa and Nobuaki Maruki make a damn good duo. It’s a shame these posts aren’t going to be finished. Great blog to an emotional roller coaster. Where are the comments for episodes 11, 12 and 13? I enjoyed reading the previous ones so much. 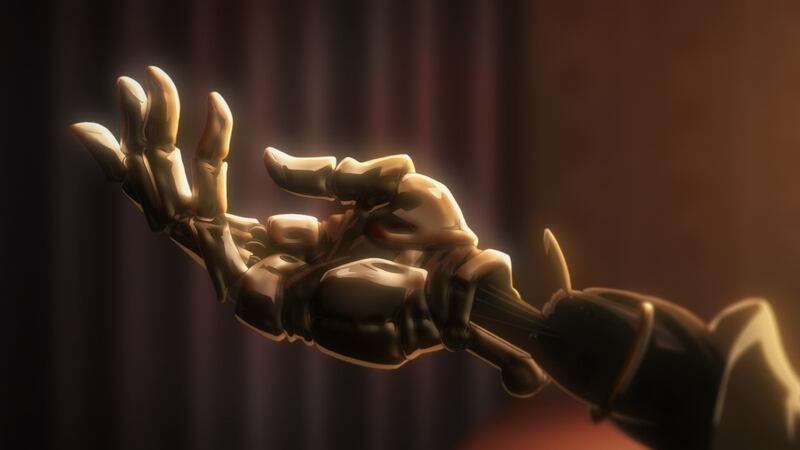 I intended to write a final post on it, but we kept getting annoying spam on these posts and they didn’t offer anything really new production-wise, so I decided to scrap the idea in the end. Sorry! So does that mean we’ll never get your thoughts on the last four episodes? I’m sorry to keep pestering you about it.